With so many luxury yachts for sale, you might be forgiven for thinking that simply choosing your new boat would be the easy first step to ownership. However, purchasing a yacht directly from a manufacturer is just the start. Before long you’ll have a stack of licensing, permits and insurance documents to deal with. Add docking, provisioning, and maintenance, and your dream of yacht ownership can turn into a headache in no time at all. We know this because we have over 50 yachts in our fleet and over 20 years of experience under our hats. Our owners trust us to leverage our knowledge, resources, and infrastructure to make yacht ownership all about you enjoying your vacation time. Purchasing a yacht with TradeWinds is a simple two-step procedure – you choose your yacht, then you choose the ownership package you want. From there on in, it's plain sailing – literally. With a crew of three to pamper you this is the ultimate in charter experience! Encapsulating a unique blend of style, sophistication and fun, the TradeWinds 20/20 has been designed for the most discerning of guests. When you want to enjoy and own the very best, our Flagship Class yacht the TW7 is certainly the right catamaran for you! It offers the ultimate in luxury and decadence where you will experience a premium food and beverage offer onboard to rival the very best gourmet restaurants on shore. With a crew of three to pamper you, you will surely feel like a king or a queen here! This is truly a First Class experience on the seas. The beautiful design of this stunning yacht includes a beautiful and spacious Premier Stateroom. The TradeWinds 60 is an elegant, high performing yacht and has been designed for you to enjoy sailing in great comfort and style. With a crew of two to look after your every need as soon as you step on board, you’ll enjoy the feeling of ultimate luxury. This new model includes the highly appreciated feature of a full fly bridge, making it ideal to enjoy cocktails whilst watching the sun set. Designed by renowned boat builder, Fountaine Pajot, the TradeWinds 60 is the ideal model for those looking to indulge in a superior sailing experience. The newly introduced Cruising Class model TradeWinds 52 is masterfully designed to maximize the space and comfort available onboard this catamaran – the amazing new benchmark for Cruising Class sailing with TradeWinds. You'll be amazed by the performance of this model, first introduced to the fleet in 2015. Stable and sleek in design, it can accommodate 8 – 10 guests onboard, depending on the interior design and layout you choose, and it is crewed by a professional team of two. With so many luxury yachts for sale, it can be daunting to know what type of catamaran you need. When you join the TradeWinds Yacht Ownership Program, once you have selected your chosen model, you will be able to choose one of two configurations for your brand new yacht, based on your requirements. Choose from the Standard version, which consists of a five cabin layout, in which all guest cabins feel the same size and offer the same experience, or the Master version and have one large premier suite and three luxury guest cabins. TradeWinds specializes in luxury yachts for sale. Click the specification buttons to see the blueprints for more details or contact a member of our team for more information about yacht versions available. At all times, your professional Captain is at your disposal. Put simply, you have to know nothing about sailing to step aboard and experience a luxury vacation with us. If, however you want to indulge, your Captain will happily introduce you to the helm and you can learn to sail with us. Our catamarans are very stable. We have over 30,000 guests that have sailed with us and the overall feedback conveys that our yachts are more akin to a luxury floating hotel. Having said that, a certain degree of agility is required. For anyone thinking of bringing the little ones, we can net your yacht; we have safety equipment for children and we can cater for children’s dietary requirements, so, we are more than happy to welcome your family and friends aboard, along with you. All you do is simply inform your dedicated concierge and the rest is done for you, leaving you to sit back and enjoy the experience together. Unlike other companies offering yacht ownership programs or yacht charter ownership, with TradeWinds, your yacht won't be used for bareboat charters. When you purchase through our program, one of your yacht ownership benefits is that, we will ensure that the value and standard of your yacht will remain high- something which could not be guaranteed if you placed your yacht in a bareboat fleet. All of our yacht charters are fully All Inclusive and luxury experiences, and your yacht will be fully-crewed by a professional team, which includes, a captain who is a yacht master and a 1st mate, who is a chef for every charter. Your yacht is ordered by us and factory built for you. We manage the entire process on your behalf. The yachts are built by Fountaine Pajot in their shipyard in La Rochelle, France. 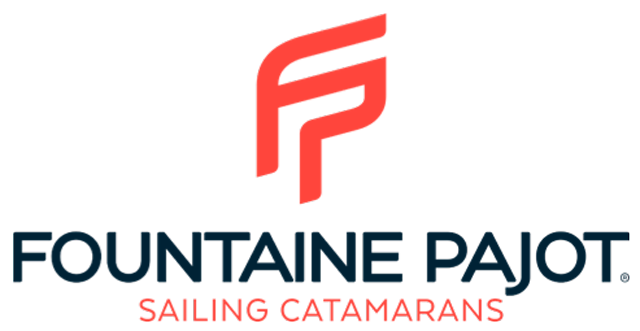 Fountaine Pajot have been designers and boat builders since 1976. They, together with TradeWinds have created the best of breed luxury, spacious, and high performing yachts the market has to offer.